It’s themes like Cleaning that reinstate belief in the evolution of web development. At first glance, the Cleaning theme doesn’t look like much. It’s simple, but not too simple. Isn’t painting the same thing as cleaning? Surely after a paint job, a client will require some cleaners to clean the mess left by previous workers. After examining the demo of Painting — it’s clear that a theme of this quality is easily usable on a cleaning services website. Helmets by Theme-Studio is the perfect theme for anyone who specializes in the handyman business. Which includes cleaners, electricians, gardeners, mechanics, and so on. Cleanco has grown beautifully over the last three years. 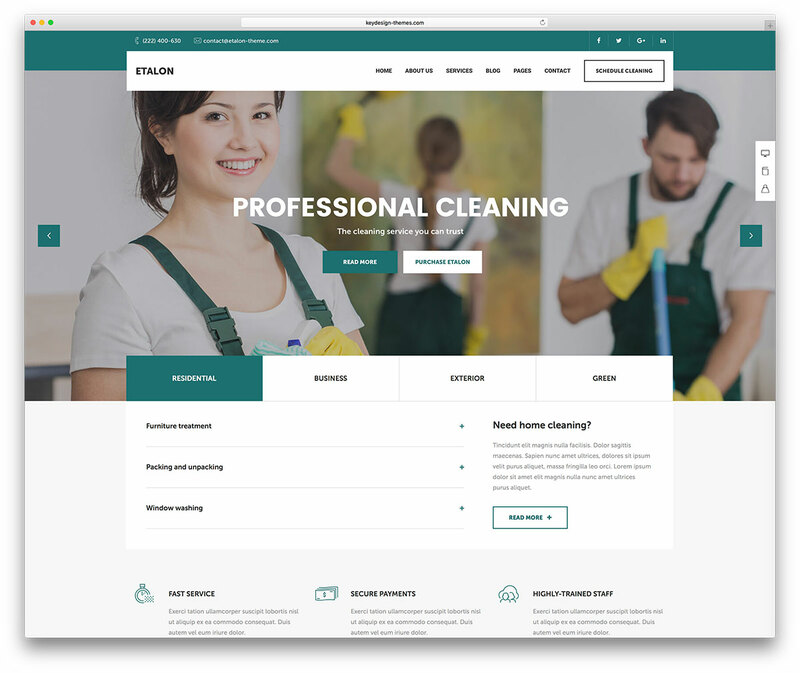 deTheme has done numerous crucial and design-changing updates in that time, yet maintain their original demo as an option to use for your cleaning companies website. CarpetServ will serve those agencies who appreciate a modern design with a solid user experience. This theme from AncoraThemes is easily one of our favorites in terms of design style and functionality. 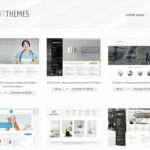 Cleaning 69 theme is clean, flexible, retina ready and has a fully responsive design. Cleaning 69 theme is loaded with features, and has powerful customization options. Built with HTML5 & CSS3. 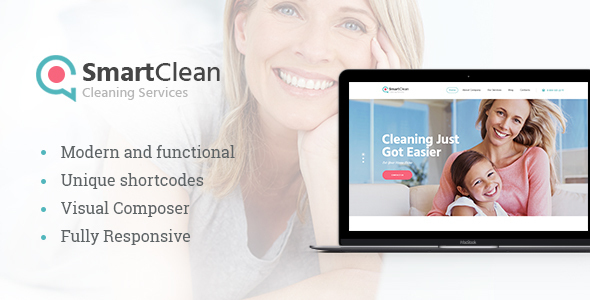 EcoClean is a tidy and dynamic WordPress theme for cleaning companies or agencies. With a professional layout and a simple Page Builder, the EcoClean couldn’t be easier to maintain. Make Clean theme uses ample amounts of blue colors, which are known to be relaxing as well as professionally enticing. This stunning cleaning company theme is a ready-to-go setup for getting your digital presence solidified. We’re getting a distinct “corporate” feel from seeing the Max Cleaners demo. So, as a result, if your cleaning company operates in the corporate sector, this is the one! Despite its label as a “cleaning” theme, the Max Cleaners is suitable for Moving companies, too! In fact, theme authors recommend that you try both sides of the coin. Carpenter excels with a classy design for business-related WordPress websites. Basically, PixFill has combined the essentials of business features into a solid WordPress template. Etalon is a multipurpose WordPress theme of more than a dozen demos. It suits many professional areas but emphasis its features for the service industry. You will get it with a demo specialized just for cleaning department. 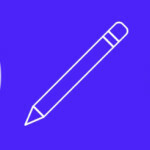 Are you more of a person who likes a design that’s completely finalized? Totally understand the sentiment. The Cleaning Company from AncoraThemes could be a solid fit to match your ideals. This cleaning services theme is oozing with simplicity. As part of the theme, you get a Calculator Form plugin. A clean website is unlikely to be a big indicator for clients to judge your services beforehand. But, it can certainly help to have a website that’s organized and pleasant to navigate. The Max Cleaning theme is a cleaning company theme for professional agencies. Every inch of the design, as well as every feature, support this category. As your clients arrive at your website, you can choose to greet them with stunning visual images using an in-built content slider. The Pretty Press theme is the “pretty” version of cleaning service templates. Let the design do all the talking while your team focuses on getting the job done. With a thorough layout and concise alignment of features, the Pretty Press is easily one of the better cleaning company themes that you can choose. We Clean merges together the very best of what WordPress can bring to the table. As far as content management systems are concerned, you’re ideally seeking a theme which doesn’t require too much technical effort on your side. For the owners of cleaning service, maid service, janitorial and maintenance service companies (both residential and commercial) AncoraThemes has crafted SmartClean, whose layout includes anything you might need to present your firm to your potential clients.